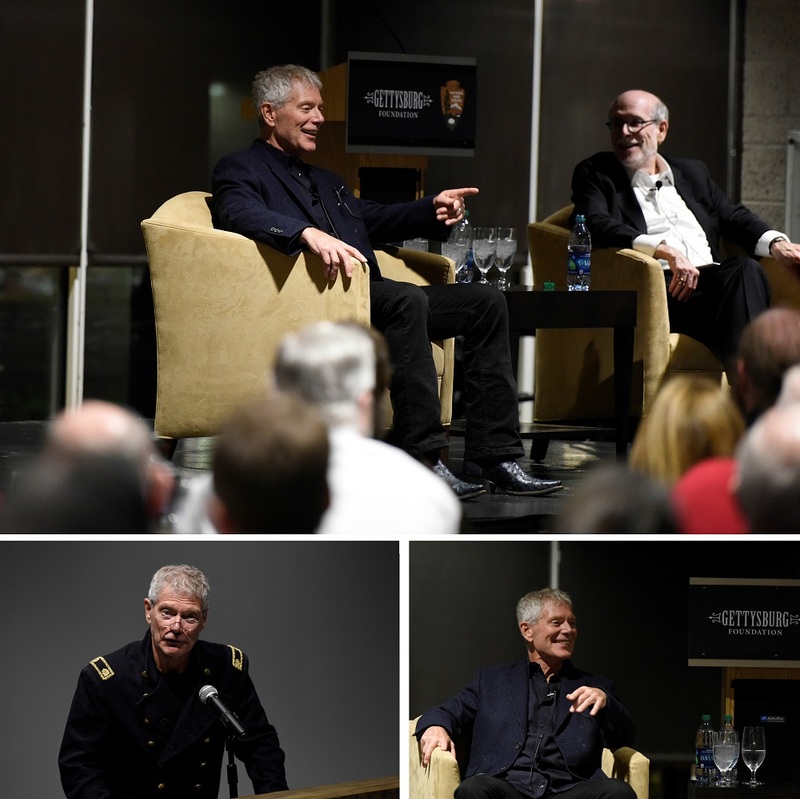 Stories of challenge, humility and conciliation highlighted the Oct. 12 performance of actor Stephen Lang’s “Medal of Honor” trilogy with post-show conversation featuring Lang and Lincoln Prize-winning author and historian, Harold Holzer. “The Wheatfield,” in particular, features Lang’s portrayal of a Union soldier James Jackson Purman, reflecting on his time fighting in the Wheatfield during the Battle of Gettysburg. While the Wheatfield is known for its horrific bloodshed during the battle, the story of Purman is one of kindness and fellowship. Lang’s performance is particularly poignant recalling a pivotal moment when, while immobile due to wounds suffered in the fight, a Confederate soldier risks his life to share his water and companionship with Purman. "I've been seeing and listening to one or both of these historians, alone or on stage together, for many years and in many venues. Each continues to surprise and educate—Stephen in his ability and ease of becoming so many complex individuals and Harold in his depth of research. Their conversations are engaging and thought-provoking and reveal the glimmers of humanity in times of horrifying conflict," said Barbara Finfrock, Vice Chair of the Board of the Gettysburg Foundation. After the performance Lang and Holzer engaged the audience in a conversation regarding the performance and how Gettysburg is not just a battlefield nor a singular event. Gettysburg is comprised of broader stories rooted in humility. The duo addressed the power of using the performing arts like the movie “Gettysburg” and Lang’s plays to keep the ongoing relevance of Gettysburg at the forefront. The performance and Lang and Holzer’s dialogue were part of the Gettysburg Foundation’s occasional program series, Great Conversations at Gettysburg. Great Conversations brings together thought-provoking discussions on topics including preservation, literature, creativity, sustainability, democracy and civility. During the discussion, Lang noted the importance of presenting stories that show the human side of conflict. He stated he is particularly drawn to those stories that speak of humility and conciliation as those stories help humanize history for audiences. Lang also participated in additional events surrounding the 25th anniversary of the motion picture, “Gettysburg.” In the film, Lang portrayed Maj. Gen. George E. Pickett. Held over the weekend of Oct. 12 and 13, the 25th anniversary event included a viewing of the director’s cut and featured director Ron Maxwell and several of the film’s actors at the Majestic Theater, Gettysburg. The event was co-sponsored by the Gettysburg Foundation and The Journey Through Hallowed Ground. Learn more information about the Great Conversations at Gettysburg series.